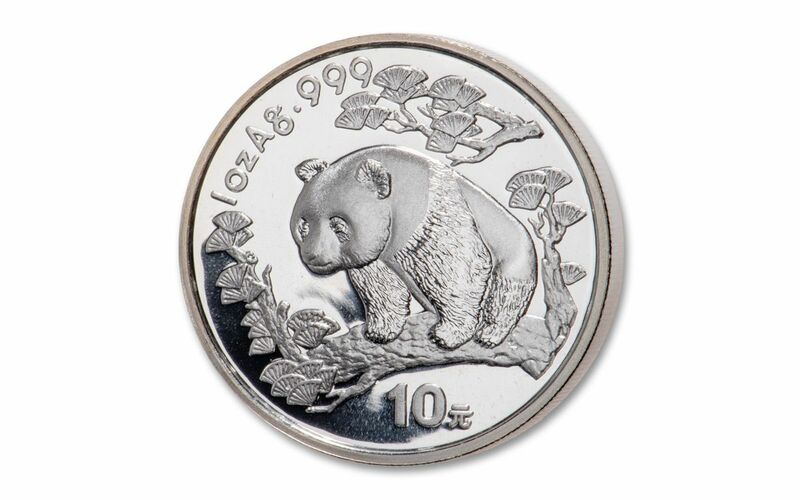 In this offering you can secure the 1997 One-Ounce Silver Panda. It’s a magnificent coin that will come in gleaming Brilliant Uncirculated (BUI) condition, just as fresh and crisp as the day it left the mint. Don’t wait, add this spectacular Silver Panda to your collection today! ENGAGING ONE-YEAR-ONLY DESIGN – The 1997 One-Ounce Silver Panda features a one-year-only design of a curious panda perched on a tree branch, his interest piqued by something below. 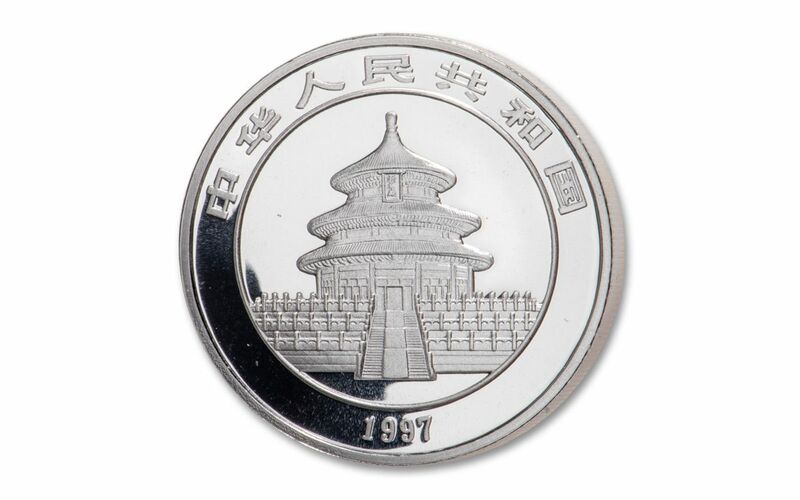 The coin’s obverse depicts the Hall of Prayer for Abundant Harvests in the Temple of Heaven in Beijing encircled by the phrase “People's Republic of China” in Chinese along with the year of issue. STRUCK IN HIGHLY-PURE SILVER – Each 1997 China Silver Panda was struck in one ounce of 99.9% silver. LEGAL TENDER IN CHINA – These 1997 China One-Ounce Silver Pandas are 10 Yuan legal tender in China. 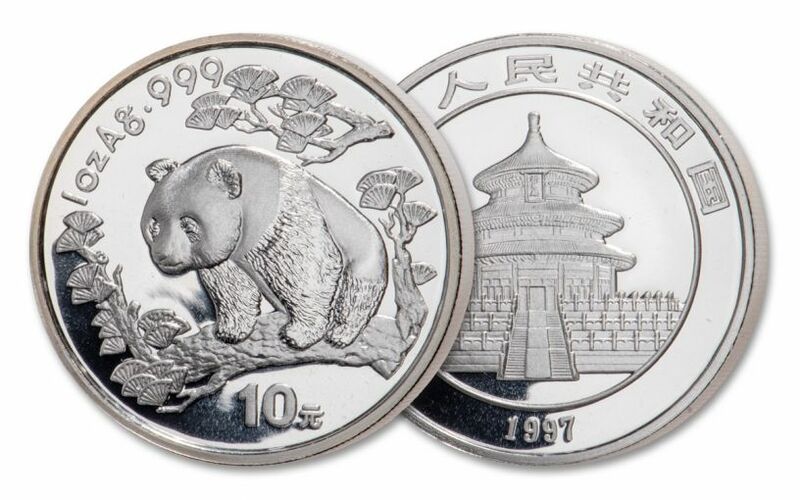 GLEAMING BRILLIANT UNCIRCULATED CONDITION – Your 1997 China One-Ounce Silver Pandas comes in gleaming Brilliant Uncirculated (BU) condition, as fresh and crisp as the day it left the mint. It will also come shipped in its original mint coin holder. The popularity of these coins virtually ensures that they won’t be around for long. Don’t miss out, order your 1997 China One-Ounce Silver Panda now!